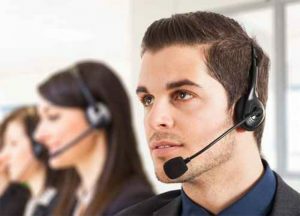 A help desk can assist customers remotely as they are attempting to use the system, which helps improve customer engagement and satisfaction. A help desk is the central point of contact for problems and effective resolutions. A help desk handles customer access, is able to reset passwords, look up any descriptions the customer may be attempting to purchase, and fix any issues on the end user side. An internal helpdesk can help employees with simple and complex tasks. They can set up an infrastructure with passwords, connect new users, assist with any technical problems they may be having with the software used by the company, address any issues that may be occurring as employees deal with customers, and can quickly troubleshoot any networking problems across the organization. Their internal job is very different from that of an IT technician. How can outsourcing helpdesk operations assist my organization? Outsourced help desk operations can function around the clock to meet the needs of companies that have operations continuing in every time zone. Customers like it when they can reach someone regardless of the time to answer questions or help them complete the task they are attempting to do. With a help desk, the response times for addressing customer needs is very low. An outsourced help desk has a number of components and agents working to address every need at every contact point. The costs associated with a help desk are much lower than having in-house personnel, and the support received is usually very high. With in-house employees, there are fixed costs such as insurance, taxes and other benefits, while using an outsourced helpdesk will alleviate those additional expenses. Outsourced helpdesks usually have very experienced technical employees. They can quickly resolve problems for a number of customers within your industry and work together on their end to assess any issues and determine resolutions. The objectives and goals of the company are quickly reached with an outsourced helpdesk. Smaller companies who lack manpower usually affect the objectives of the organization if their company does not have enough people to support growing sales. With an outsourced helpdesk, problems are eliminated and there is always someone there to assist, the goals and objectives are reached within a reasonable time. By having an outsourced helpdesk, companies are investing in their organization from both the client and employees’ perspectives. As the organization grows, the level of support from an outsourced helpdesk can also grow to meet client needs. Let The Technology Experts, LLC customize a plan that will provide your business with the technical, product, and application support that you need. The vast majority of our customers’ technical problems can be resolved over the phone, via online chat, or connecting remotely. We recognize that our help desk service should align with what your company stands for. We offer a proactive approach, quality support, well-defined communication procedures and a focus on responsiveness and customer service.